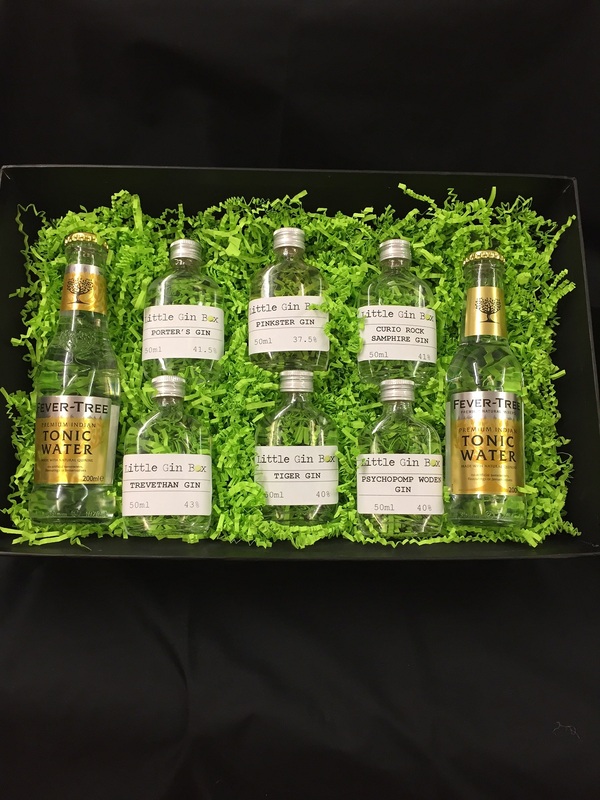 Our small hamper is ideal for any Gin lover who may wish to experience a journey through a diverse range of Artisan Gins. The hamper contains no less than 6 individual 50ml bottles of a mixed variety of fabulous Artisan Gins. Each Gin is accompanied with detailed Tasting Notes and each featured distillers view on how to make the perfect serve using their Gin. To complete the hamper we include 2 bottles of Fever Tree Indian Tonic. The mix of Gins will be random but we will always ensure that it offers the recipient a wide range of distillers, botanicals and flavours. This is an ideal gift for anyone new to the world of Artisan Gins or for the experienced Gin drinker. Remember to add your gift message to your order which will be included with the hamper. Contains ; 6 number 50ml bottles of Artisan Gin 2 number 200ml bottles of Fever Tree Indian Tonic Water Accompanying Tasting Notes.